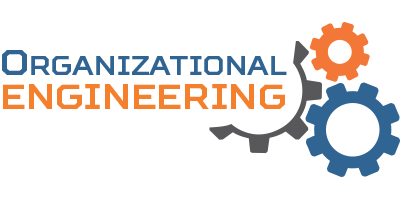 Organizational Engineering helps organizations of all shapes and sizes from startups to multi-national corporations to governments to non-profits identify and implement changes to organizational principles, practices, processes and culture. Changes range from addressing an individual issue to comprehensive transformations. We constantly strive to provide higher levels of value and think of our customers as partners. Everything from the way our contracts are designed to our core principles is designed to ensure that we provide the highest possible levels of service. Our frameworks have been adapted from high performance models such as those found in Agile, Lean and Teal. The basic frameworks are general enough to work in almost any situation but we work with organizations to find the best starting point and adapt the frameworks to ensure that the unique circumstances of each organization are addresses. Value – We target a minimum of 10X return on investment. We are also willing to provide special pricing for groups that cannot afford full price services and serve a greater purpose such as schools and non-profits.Expertise – Creating organizational change can be a complex, difficult task and we dedicate ourselves mastering the art which means better results for you. Expertise – Creating organizational change can be a complex, difficult task and we dedicate ourselves mastering the art which means better results for you. Partnership – The fact that we treat our customers as our partners makes us easy to work with. Purpose driven – Supporting us is helping others. Besides the positive impacts our services have on the world, we are active volunteers in our communities and donate both time and money to charity and non-profits organizations. Organizational Engineering is driven by the goal of Making the World a Better Place Through Better Business. ™ We are willing to sacrifice that which may benefit us directly and immediately in order to make a positive, lasting difference in the world. We are all in it together – All of humanity shares our world and our resources and what benefits society as a whole benefits us as well. We value collaboration over competition and we will not accept actions that benefit ourselves through the detriment of others. Anything is possible – Any goal can be accomplished given enough time and effort and creativity. The question we should be asking is not if we can but if the goal is worth the effort. Adopting this attitude will greatly increase our chances of success in any undertaking. Courage – Fear breeds negativity and poor decisions which make the workplace less productive and less enjoyable. Being courageous means making the hard decisions because they are the right thing to do for the long-term success of the organization and betterment of the world. Ownership – Far too many wrong actions have been taken because people were “just doing their jobs”. Our members are encouraged to make their own decisions about that which they are responsible for and to take responsibility where they feel inclined to do so. This level of ownership helps to foster an environment where people can make better decisions that align with our purpose of making the world a better place. Mastery – A master of martial arts can make their disciple seem effortless. We strive for the same in our disciplines. For us, this means being deliberate in our actions, cutting waste, collaborating and finding ways to continuously improve. Attention to these areas will help us deliver better services to our customers and thus, a larger impact on the world.